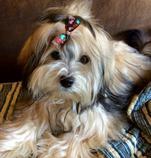 Welcome to the Cascade Havanese Club! 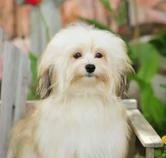 The Cascade Havanese Club (CHC) was formed in 2003 and accepted by the American Kennel Club and the Havanese Club of America in service to the greater Puget Sound area in the state of Washington.The Club is open to all who are in good standing with the American Kennel Club and who subscribe to the purposes of the CHC. For complete information about our membership policies and purpose, see our Constitution and Bylaws. We come together on a regular basis to share our love for the breed, learn from others, hold specialty shows, and enjoy our dogs! Visit our website and feel free to join us at our next meeting! The officers of the Cascade Havanese Club would be more than pleased to answer any questions that you may have about the club and its activities. Please use the below contacts for any questions you may have.